We are living in an exciting and transformative era. Technology is advancing at rates never seen before. This is a time when everything seems possible. Advancements in technology include an increase in robotic automation. Technology now touches nearly every aspect of our lives. We are constantly being introduced to a new form of technology that promises to make daily life easier. Technology has become so much a part of our routines that we may barely notice we’re using it. Our day begins with a wake-up from our alarm. It continues with a coffee made by a machine and could include an early morning smartphone or video call from a loved one. Could you imagine your morning without any of these things? 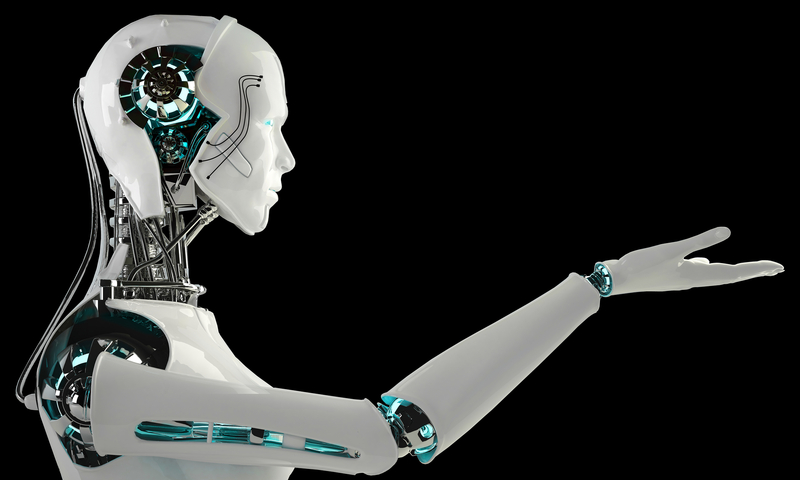 Here we examine some of the newest and upcoming trends in the use and development of robotics. How will these advancements impact your life? Robotic automation is defined as applying technology to manipulate data, process a transaction, trigger a response, or communicate with other digital systems. The automation replaces tasks traditionally performed by a human. Examples of robotic automation include ATM cash machines, the process of shopping online and completing online purchases, and the receipt of order updates. These are daily examples of automation products that all of us now take for granted. The practice of using robots to replace human input is here to stay. And according to the Washington Post, we can expect up to half of all currently employed people to be put out of work by machines in the next few decades. But we’re ok with that – the lost jobs will be replaced with new jobs. So what exciting new advances can we expect to see in 2017? Every iPhone user is familiar with the helpfulness and quirkiness of Siri. Siri is a robotic assistant who can deliver both useful and entirely irrelevant information. Studies show that while 98% of iPhone users have used Siri, only 3% use the app in public. Why is this? It seems that people are slightly shy about being seen talking to a machine in front of others. It’s predicted this trend could change as more companies adopt virtual assistants to support people in their use of technology. And, as in all things, virtual assistants are evolving. Expect virtual assistants to have more human characteristics in the future, including a physical mobile body. While the term artificial intelligence may bring to mind visions of too many Star Wars or Star Trek movies, there is a lot more to it. Artificial intelligence is intelligence exhibited by machines. While we could include Siri and Alexa under this banner, the scope is much wider. Robotic automation in the realm of AI is a very broad field. AI encompasses smart homes, smart cities, and factories of the future. These systems use data analytics, sensors, and cloud technology to make life more efficient and user-friendly for us simple humans. Video games also utilize artificial intelligence capabilities. The games often imitate the intelligent human behaviors of cognition and sense. And they must be doing something right with millions of daily users across the globe. Have you ever watched an episode of The Jetsons or the 1960’s TV series Lost in Space? Both of these retro entertainment films used family-friendly robots as part of the core family structure. But it’s interesting to note that both robots were prone to breakdowns, short circuits, or just getting it wrong. Drones impacted the market not so long ago. They are a prime example of mobile autonomy. These airborne machines are robotic automation brought readily to the hands of the consumer. The concept of self-driven cars has been bandied about for years. But the reality is still some time away. You can rest assured that all the big auto manufacturers are researching and testing prototypes. Current trends in mobile autonomy include advancements in mobile phone and personal device technology. Wi-Fi driven gadgets such as mini robots and toys are popular and it seems new products reach the market every day. You may be surprised by the countries which currently lead the race forward in robotic automation. The US still holds the top spot in technology innovation (as measured by patents per capita) but advances are being made all over the world. Countries such as Japan, Switzerland, and Hong Kong all feature in the top 10. Don’t forget China. Due to the complexities of the nation’s regulations, the technology measurements can be hard to track. But check out the number of new innovations and new companies with “Shenzhen” in the name. At this stage, it’s anybody’s race. Smart advancements and innovative thinking are not restricted to any one part of the world. And hey, if we can all share in the benefits, who cares where the technology originates? Recognizable names in the field of technology are not shy in coming forward when it comes to new trends. Expect to hear from companies such as Samsung and LG Electronics as the year progresses. Mega corporations such as these have taken a strong interest in artificial intelligence and robotics. With ample R&D facilities, funding, and staff capable of driving innovation, big companies are expected to take a front seat in the robotics arena. With a massive amount of users (and user dollars) within the healthcare, manufacturing, and consumer industries the big companies cannot ignore the place of robotic automation in today’s technology. Sastra Robotics India Pvt Ltd offers high-quality robotic solutions at cost-effective prices to a broad range of industrial customers. Since collaborating with partners in Switzerland, the US, and Korea Sastra has surged forward to become an innovative forerunner in its field. We were recognized as one of the Top 5 Most Promising Startups of 2012. Two years later, we were named as one of the Top 10 Most Promising Early-Stage Startups. Your future starts here. Contact our professional team at Sastra Robotics India Pvt Ltd today to discuss your technology requirements. Co-Founder & CEO @ Sastra Robotics India Pvt Ltd. My core interests are in Photography, Singing, Philosophy, Drawing and Writing. I am an ardent fan of the Iron Man and a beauty admirer, peace lover, motivational speaker, biker and an explorer. Are Robotic Automation and its Trends Shaking the world of Technology?